A customer brought in this lamp the other day and asked us to wire a new socket and harp on the lamp. We noticed some odd things on the lamp and agree it could use some new parts. This lamp to the untrained eye might seem a little dated but otherwise completely functional. 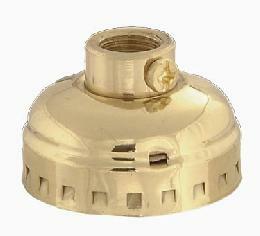 Here are some trouble spots: unused side outlet in socket cap and uni-body lamp harp. Socket side outlets have a purpose: allow lamp cord to bypass the lamp body. 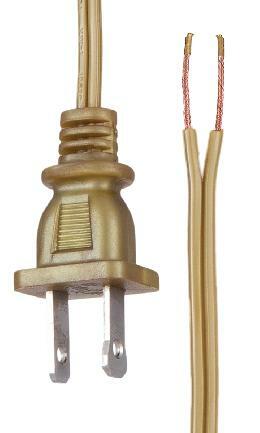 Some bottle lamps or urn lamps might not have a hole through the lamp body to run a cord and need a side outlet socket. This lamp has a threaded rod from the base of the lamp for the cord, so the side outlet is strange. 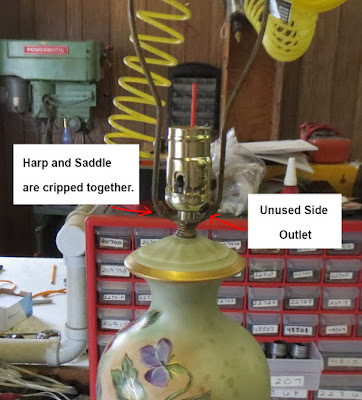 Crimped harps to bases are common in older lamps. They never thought the shade would be replaced and a different harp size might be needed. Today's harps have a saddle on the bottom and the top of the harp can be changed easily depending on the harp size needed. Nothing worse than finding out your morning run to the hardware store was wasted from an incomplete list, or your latest online order for parts need more items so you have to wait for delivery. Making a list helps eliminate the time wasting errors. For this lamp, we will only need the following lamp parts: socket cap, brass plated harp, and a new lamp cord. We will reuse the socket interior, socket shell, neck, threaded rod, and the rest of the lamp. With the lamp unplugged, you will want to pry the socket shell from the socket cap. Pull the socket shell off the socket interior and unwire the lamp cord from the screw terminals. 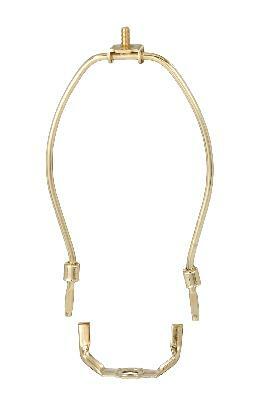 Untie the UL Knot and pull the lamp cord down through the base of the lamp. Remove the old socket cap and the old harp base from the threaded rod. Going in reverse order from the disassembly, the new lamp parts go back on the lamp is similar order. First, the new harp saddle and socket cap go on the threaded rod. Make sure the harp saddle is oriented so the face of the lamp is in front. Push the new lamp cord up through the threaded rod to the socket cap. Attach the socket interior to the lamp cord. For polarity, the smooth wire connects to the brass screw and the nickel screw connects to the ribbed wire. Pull any cord slack from the lamp base and seat the socket interior on the socket cap. Slide the socket shell over the socket interior and snap it into the socket cap. The socket shell should fit snugly in the cap and not have any wiggle room or movement.